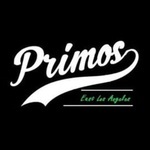 Primo's Caregivers helps Los Angeles patients improve their quality of life through the use of medical marijuana. The dispensary's primary focus is patients suffering from debilitating medical conditions. Primo's Caregivers provides qualified patients with the highest possible quality organically grown cannabinoid products. Besides that, the company offers expert guidance and personalized support. The workers here do their best to address the needs of every patient and help them choose the medicine that would improve their quality of life. Primo's Caregivers offers natural cannabis-infused remedies that are proved to have healing qualities. Be it baked goods, tinctures, concentrates or topicals, each product is tested for harmful chemicals and pesticides. The dispensary strongly believes that the perfect medicine is a result of the combination of combining natural ingredients, craftsmanship and science. The ensure the high quality of the products, it cooperates with farmers who have already made their name in the industry.